Let me just get this off my chest... I hate writing posts about the Rafale. This is not because of some irrational dislike towards the aircraft, or the French aviation industry in general. Quite the opposite. Dassault has a long tradition of building some truly impressive aircraft and the Rafale is no different. The Rafale is even more impressive given its entirely French origins. Thales, Snecma, and other French firms could not ask for better representation. The aircraft itself is by all accounts an excellent performer, able to match (and sometimes exceed) the abilities of aircraft manufactured by its Russian and American rivals. Many would argue that the Rafale also happens to be the best looking modern combat aircraft. I can certainly see why, the Rafale is simply gorgeous. A simple arrowhead design punctuated with a few graceful curves and just the right amount of aggressive-looking pointy bits. Shame about that none-retractable refueling probe, it is the only real blemish. So what is my problem with the Rafale? The Rafale is simply hard to write about. Whenever I do, I find myself describing the Rafale using terms like "but", "maybe", and "if only." Everybody seems to respect the aircraft, yet it has found few buyers and a lot of what is said about the Rafale seems "too good to be true". This is not helped by the fact that information on the Rafale is fairly limited, with most of it coming from either its manufacturers, the French military, or other biased sources. If I used those same metrics with the F-35 I would get lynched. Although I find writing about the Rafale difficult, I do admire the aircraft, even if it does not come across as such. I have often critiqued the Rafale's current weapon selection. For the most part, the Rafale's weapons are limited to French made MICAs and the like. This is no criticism of French sourced missiles. It is merely an added snag to any Canadian acquisition. 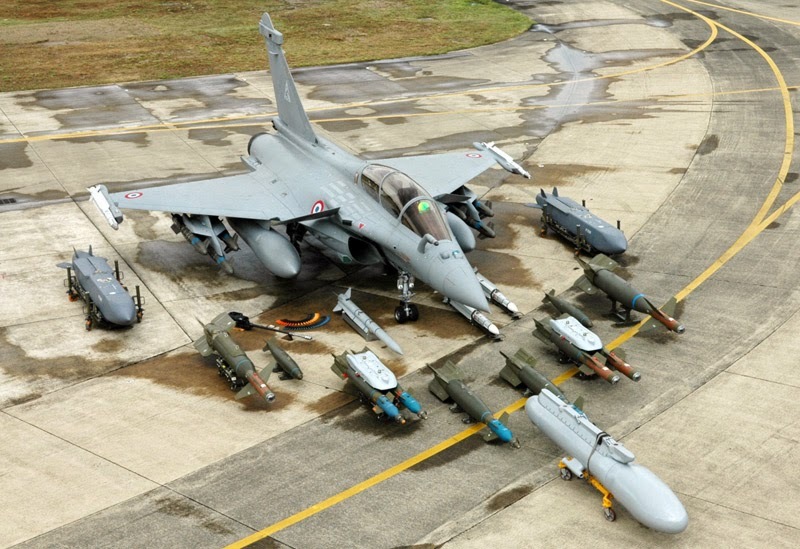 If Canada did choose the Rafale, it would need to either switch to these French missiles or certify the Rafale for Canada's current stockpile of AMRAAMs, Sidewinders, etc. 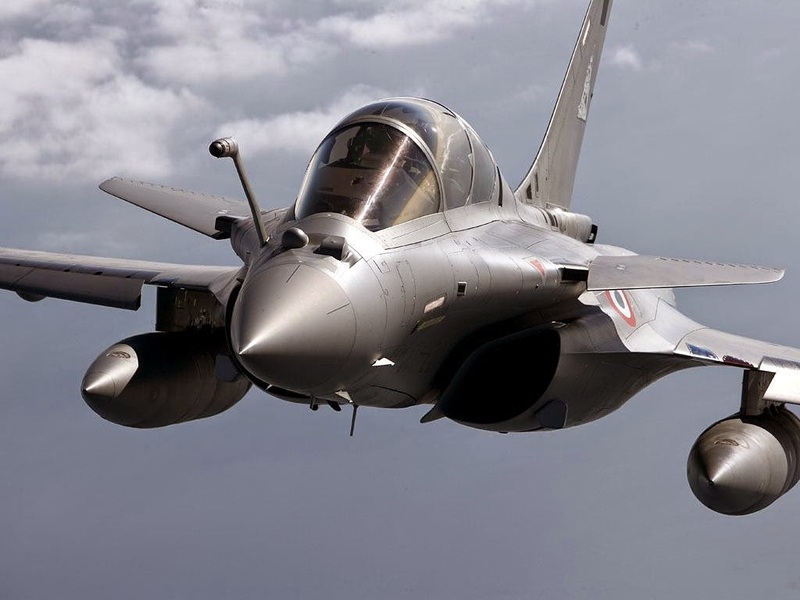 Given the extra logistics and training issues that would arise from switching weapons, it would be more likely that a Canadian Rafale would simply mount standard NATO weapons. Given Dassault's promise of open architecture, mounting and testing weapons like the AMRAAM would likely be easy and affordable. India is considering its Rafales with Russian-made missiles, so standard NATO weapons would likely be a snap. The same goes for the Rafale's lack of helmet mounted display. The Rafale has already been tested with the "TopOwl-F" HMD, but for one reason or another, neither the French air force nor the French navy have made plans to outfit Rafales with an HMD. The capability is there, but the implementation is not. 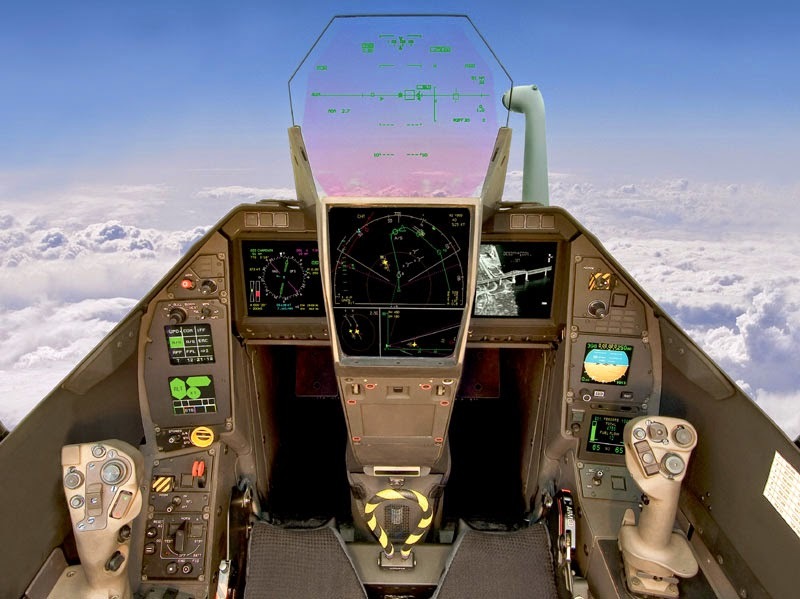 Again, the Rafale's promised "open source" architecture means that the addition of an HMD likely would not be an issue. It is very possible that the CF-18's current JHMCS could be adapted, with more advanced models to follow. In the grand scheme of things, the Rafale's weapons compatibility and current lack of an operational HMD are fairly minor issues that are likely easily corrected. 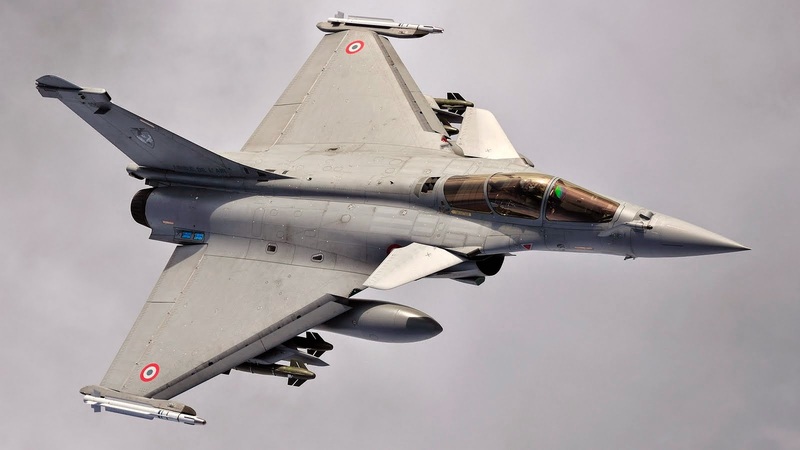 They do merit mentioning, however, as fighters like the Gripen, Typhoon, and Super Hornet are ready to go right out of the box, while the Rafale has "some assembly required" and a few "parts sold separately". Not really a huge deal. By rights, the Rafale should be at least as successful as Eurofighter Typhoon... Possibly more so. The Rafale is reported to be both cheaper to purchase and to maintain. It also has a superior strike capability. So why is the Rafale not getting the buyers it deserves? The Rafale has been heavily marketed all around the world. France has never been overly picky about whom it sells arms to. Despite this, so far the only foreign sales success for the Rafale has been the Indian MMRCA. What does cause concern for are the issues Dassault seems to be having with India in finalized its order for 126 Rafales. India's decision to purchase the Rafale has been controversial to say the least. There have been rumors of cost increases, order cuts, and even a possible cancellation of the order. So precarious is the Indian Rafale deal that both Eurofighter and Saab are still promoting their fighters. Other than India, not a single other nation has expressed much interest in the Rafale. This seems odd given the aircraft's reputation as a stellar performer, not to mention Dassault's previous success with its Mirage series of fighters. At one point, the Rafale was a favorite to win Brazil's FX-2 fighter program. In the end, the Gripen E was selected. In the end, the ultimate factor was cost. The Saab was not yet in production, and had no carrier variant, yet it was still deemed more financially prudent. The Gripen deal was said to cost $4.5 billion for 36 aircraft. This included a lucrative deal for Brazil's Embraer to build and maintain Brazilian Gripens. By contrast, 36 Rafales would have cost $8.2 billion, plus maintenance contracts that would have cost an additional $4 billion. The Rafale's famed technology transfer is said to have added an additional cost on top of all that. Even then, there might still be some licensing headaches. Given all this, the Rafale may simply not be that affordable. While the information available seems to suggest a cost of around $80-$100 million per copy, the cost would escalate sharply if weapons integration and technology transfer costs are factored in. These costs would be nearly prohibitive with smaller buys. Even the Rafale's operating costs are suspicious. Jane's reports an operating cost slightly below that of the Eurofighter. The Rafale does have an advantage here, however, as it lacks some of the systems used on the Typhoon, like HMD. Its solid-state AESA radar is also likely to be more reliable than the Typhoon's current CAPTOR-M. It would seem as though the Rafale occupies the awkward middle ground between the cheaper Gripen and the ultra-buck F-35. Nations wishing to go "upscale" prefer to stay with the JSF juggernaut, while nations on a budget prefer the Gripen. Even in the middle ground, the Rafale still needs to compete with the Eurofighter Typhoon. The Typhoon has the advantage of standard NATO weaponry and the political backing of its four partner nations. If the Rafale had more international sales, it would be a far more attractive option. Right now its development relies strictly on the French government, with no other buyers to help pay for the bill. When Sweden had this same issue with the early-model Gripen A/B, it corrected it by producing the more "export friendly" C/D models. This helped Saab sell or lease over 70 aircraft, helping to fund further Gripen development into the Gripen E/F. This in turn has helped Saab increase its customer base even more. Therein lies the Rafale's achilles heel. Without a larger customer base, future improvements may be put off for financial reasons. Without those future improvements, the Rafale will continue to have a small customer base. In the end, the Rafale may offer the most potential, but at the highest risk. A Canadian purchase would likely go smoother than the Indian deal, but it would be naive to assume it would be free of hiccups. Additional costs for weapon integration and technology transfer would have to be justified. Then again, a "Canadianized" Rafale (with standard NATO weapons and possibly CFTs) could prove to be quite successful as an F-35 alternative... Maybe.